Montgomery County's innovative stream reconstruction practices include recycling fallen logs found on site during the stream reconstruction process to anchor stream banks. 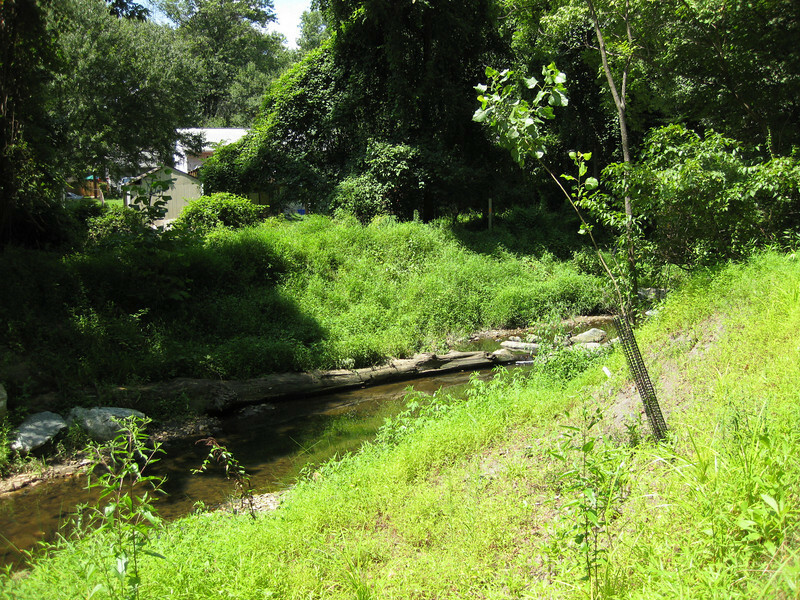 The stream banks have also been graded to provide an expanded floodplain for the stream during storm events. Replacing a steep cut with a gentle grade allows plants to take root and provide additional stabilization.